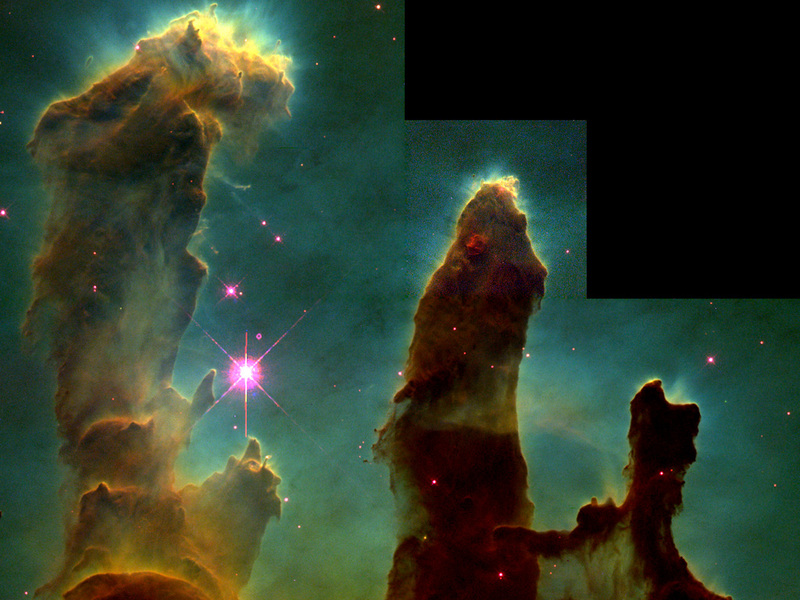 These columns that resemble stalagmites protruding from the floor of a cavern columns are in fact cool interstellar hydrogen gas and dust that act as incubators for new stars. 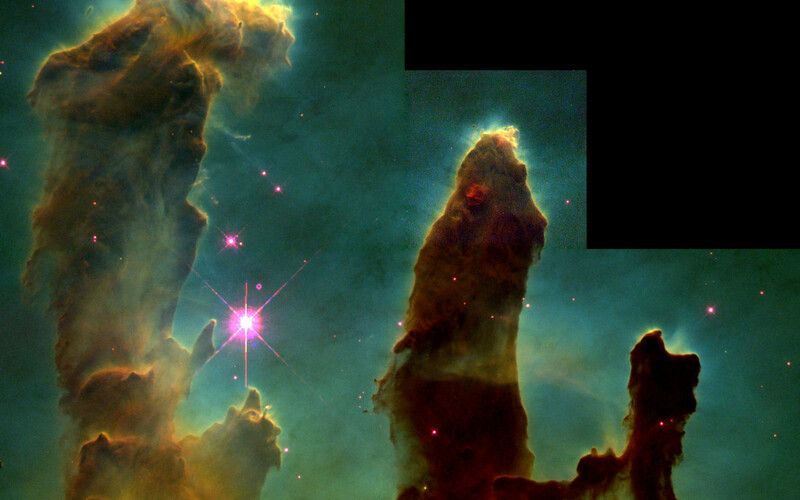 Inside them and on their surface astronomers have found knots or globules of denser gas. These are called EGGs (acronym for "Evaporating Gaseous Globules"). Inside at least some of the EGGs stars being formed. Undersea coral? Enchanted castles? Space serpents? 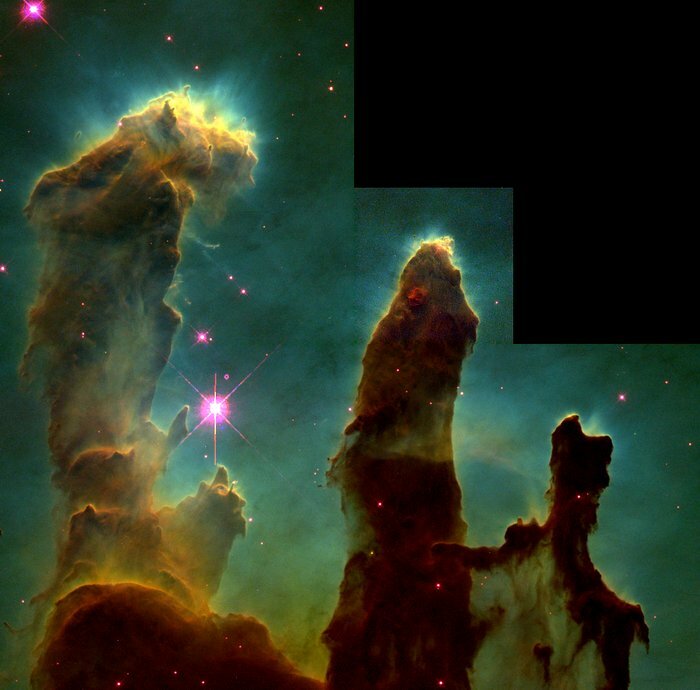 These eerie, dark pillar-like structures are actually columns of cool interstellar hydrogen gas and dust that are also incubators for new stars. 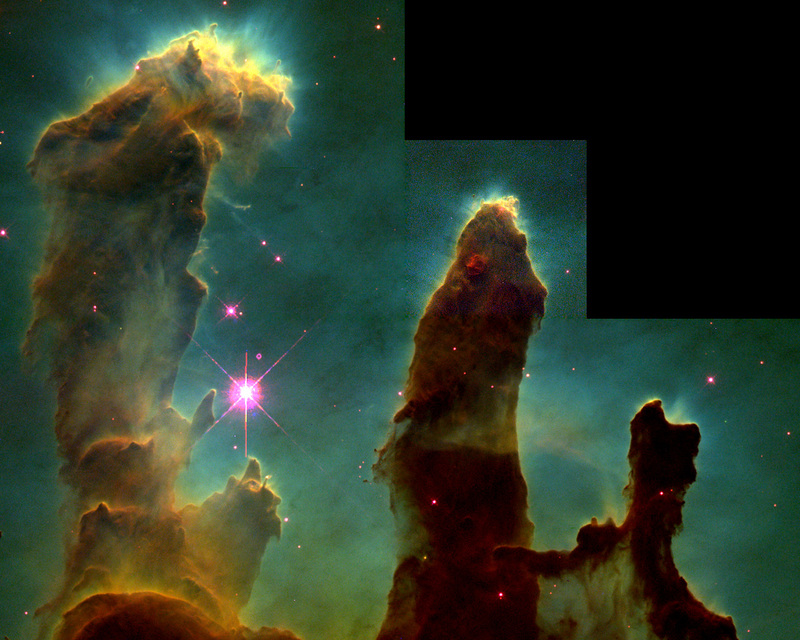 The pillars protrude from the interior wall of a dark molecular cloud like stalagmites from the floor of a cavern. Position (Dec): -13° 49' 51.76"